Every November my garden club makes some type of arrangement for the Skilled Nursing Facility in our county. Last year we made this arrangement. 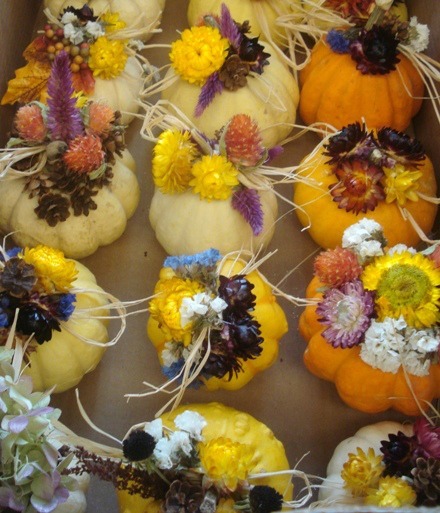 This year we decorated a variety of orange, white, and multicolor miniature gourdes. We had raffia, silk leaves, cinnamon, miniature pine cones, and a variety of dried plant material. 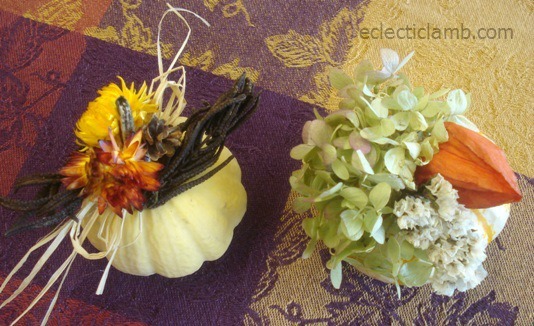 We used hot glue to attach the dried material to the gourds. This entry was posted in Crafts and tagged holiday. Bookmark the permalink. very sweet – a great idea. What a good idea–and so nice to do this for the nursing home! Thank you! It is one of our special traditions. What a great idea! They make gorgeous centrepieces for weddings too. 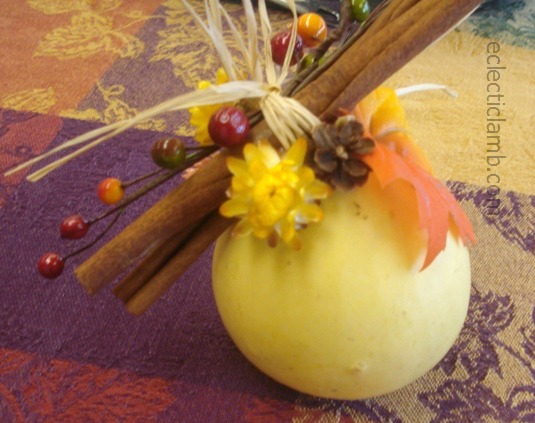 Do you need to prepare the gourds in some way before decorating, and how long do these last?